When I think back over my first year of business, it was full of hustle. I was writing posts, creating digital products, growing my social profiles, networking and every other possible task. To say it was exhausting would be an understatement. Yes, I loved what I was doing, but it didn’t feel very scaleable at the time. What I’ve noticed over the years is that many of us entrepreneurs aren’t quite sure how to build a business that you can scale and grow at the same time. Today’s podcast guest David Finkel found himself trapped in this very position with his first business. After growing his business to a couple hundred thousand dollars per year, David felt like it’s ability to grow was plateaued because the business relied heavily on him working 7 days a week. Learning from this experience, he started from scratch with the sole purpose of building a business that was easy to scale so he cold take back his time to have more adventure in life and freedom in business. In fact, he learned so much that he even wrote a book called Scale about it with his partner Jeff Hoffman; the man who created Priceline.com. We want to help you succeed this year, so in the comment section below, tell us – How do you want to scale your business in 2015? The person with the best comment will win a signed copy of David’s book Scale! 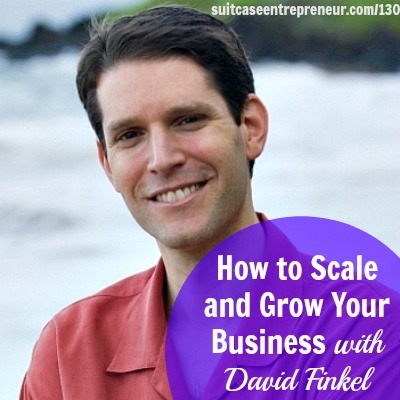 Now David is sharing his expertise on scaling in not only his book, but this episode. If you’re feeling stuck in your business then be sure to by click play above or download this in iTunes or on Stitcher Radio. Don’t miss another episode – Subscribe for updates and as a bonus, receive my book How to Start a Podcast that Matters for FREE! Don’t feel trapped in your business. 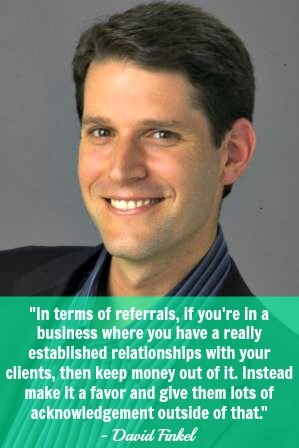 Learn how to scale and grow with David Finkel’s tips on active referrals and more. Learn more about his Maui Mastermind Small Business Coaching – free tools and video series available! Your website needs a good host, so what are you waiting for? Head to HostGator now!